wow. 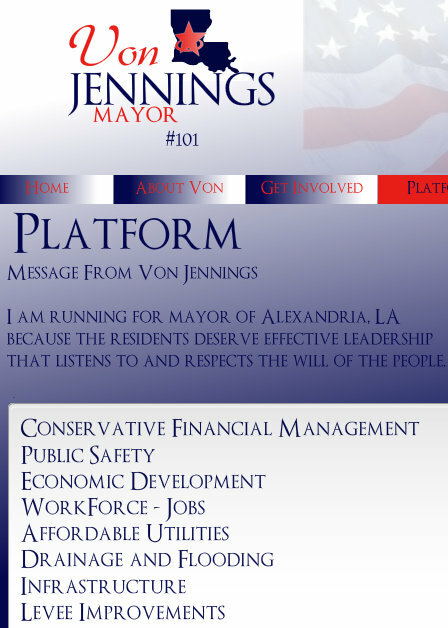 2010 city of alexandria, la. mayoral candidate, joseph w. franklin sure has a very well done campaign website at: https://josephwfranklin.com (we're unsure why its encrypted: https). 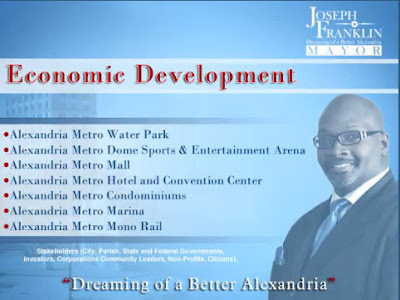 for now at least, within a few seconds of logging onto his site, his very clever and catchy campaign tune, known officially as "dreaming of a better alexandria," will autoplay. its length is 1 m 52 s and if you want to stop or pause it -- scroll down a little ways and look beneath the blue banner and you will see the audio player. its ok to let the campaign song play as you view rev. franklin's video. it wont interfere as the youtube clip has no sound. we like some of rev. franklin's economic development platform particularly the platforms pertaining to a metro marina and metro condominiums. a metro mono rail sounds interesting too. 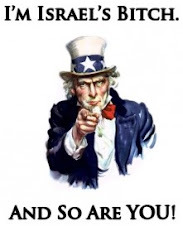 however, we dont hold out much hope in their coming to fruition anytime soon. especially in this economy and seeing that the city is already, including interest, around $100 million + in bonded indebtedness with the sparc wealth transfer scam. 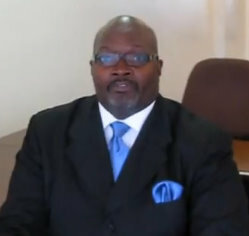 ya'll didnt know rev has blue eyes did ya? 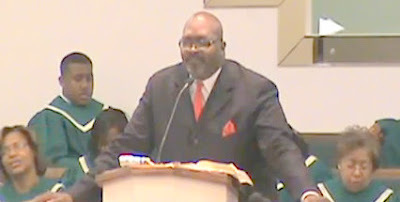 here he is in his sun-day job at mount triumph missionary baptist church of boyce, la. 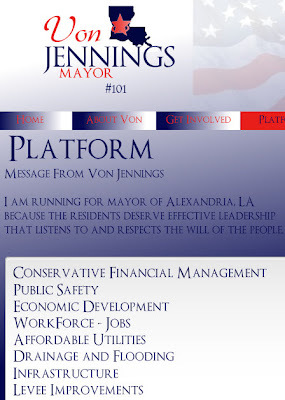 when von jennings first came out as a candidate back around february 2010, her campaign plank of "conservative financial management" seemed destined to be an attention getter and interest generator. we still believe that she could gain traction if she sticks to her campaign planks when she has the opportunity of getting the word out. 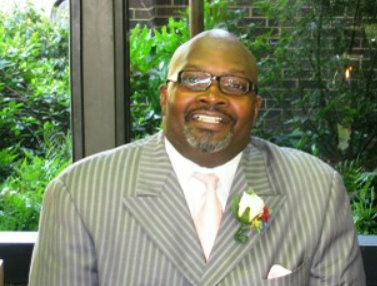 UPDATE: see jacques barack: reader mail: rev. franklin is a roy boy?